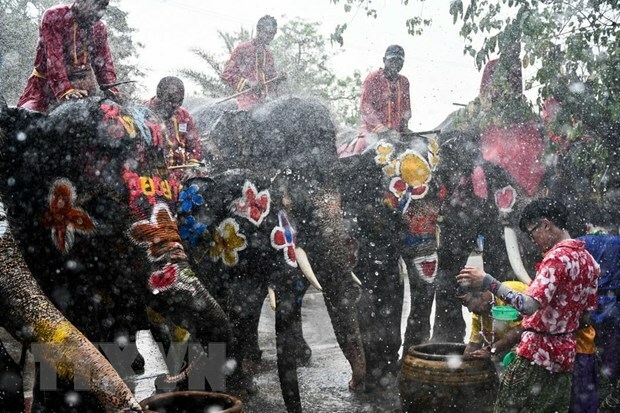 Bangkok (VNA) – Thai Prime Minister Prayut Chan-o-cha has called for national unity in a Songkran (Thai New Year) message, saying that it is important to promote solidarity to maintain peace and steer the country toward democracy. Speaking at the Government House, Prayut said that Thai people must unite to create a peaceful atmosphere so that the country can move towards democracy, which in turn will help Thailand regain the confidence of investors and the international community. He stressed that Thai people should work together to reduce conflict and learn to forgive and put their problems behind them during the Songkran festival. The government has been concerned for low-incomes earners, as well as rice, rubber, palm oil, and cassava farmers who have all been hit by falling prices, he said, adding that he has closely monitored crop prices and ordered state agencies to expedite efforts to try and solve the problem.